The Thermoslate solar thermal system from Spanish slate company Cupa Pizarras is worth observing. 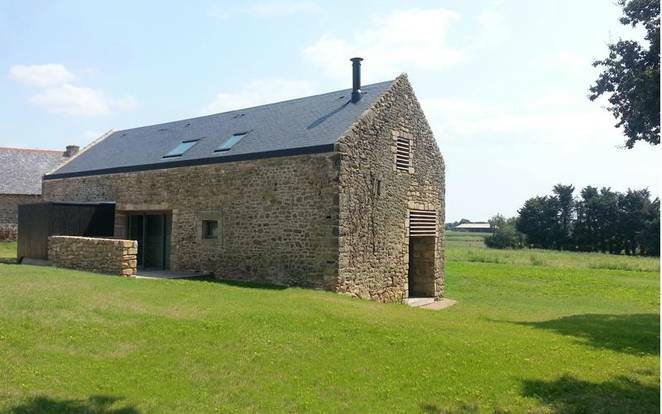 Here’s why: a structure’s slate roof can absorb a massive amount of heat and because of this stone, it has good thermal mass and holds it for some time, reports treehugger. In the Thermoslate system, slate roof tiles are integrated with thermal cells where heat is collected. 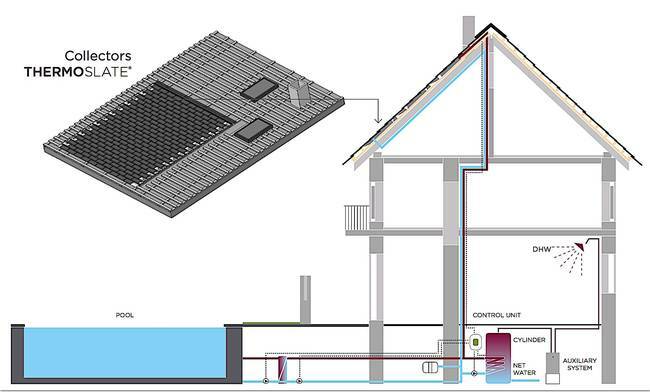 The end product supplies hot water which can be used for various domestic purposes, including solar water heating. As shown in this French farmhouse renovation by Atome Architectes, the panels are invisible, integrated right into the roof. “This system could be particularly useful for historic renovations where you just don’t want to see the panels,” writes Lloyd Alter. Smart idea: a sound marriage of form and function. “The main component of the collectors is natural slate, extracted directly from our quarries and specially selected to ensure perfect fit and performance. We have not inquired about pricing, concluding this task is best left to those who can afford such a system. But what a system it is, and how beautiful it appears! And let us never lose sight of the clean energy being produced. Take a look at this example of form following function. Guest Post: Solar Panels and You – Do They Really Make a Difference? As Patriots (and pro sports) go solar, will fans follow?